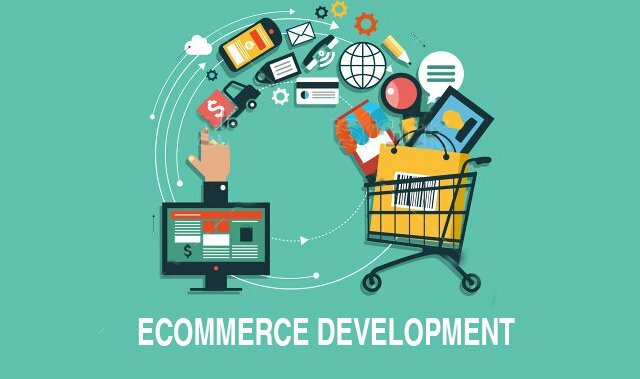 Each e-commerce website is unique and successful in its own way. But, one key to its success can be the application of latest web designing trends on it. Modern e-commerce website designs have included large pictures and video backgrounds to attract their customers since 2015 now. This helps in brand building as well as gaining immediate attention. 7. Hello images, goodbye text! Even when your customer visits your e-commerce website he wants to be in and out quickly while making a purchase. This makes it obvious that he does not want to read a lot. This is where pictures come in and impress him in the short while that he is there for. Why make your customers click and get irritated when you can make them long scroll through your entire website? Providing clear sections and telling your story right can really attract your customer on the basis of this user-friendliness. Using motion animation for demonstrating your products is one of the smartest ways to gain attention and provide ease to the customers when it comes to websites of fashion, jewelry, and gifts etc. One of the most trending layouts is the card-like layout. It is organized, descriptive, appealing and even easily made responsive. It highly increases the user experience by using cards to distribute product descriptions or announce sales on banners etc. This designing style came in the market in 2005 and has been trending ever since. Though seeming minimalistic it uses the concepts of movement and depth and shadow effects creating wonderful interfaces which are beneficial for end users. Similarly, another minimalistic style of designing involves flat designs that work just as fine. Got an online store? Then it is imperative for you to have a responsive design. Your design needs to be friendly with any device, given that these days, there are so many devices being used by customers to shop. Apply them! These are the latest trends after all!